Welcome to the Back To School section of my website. 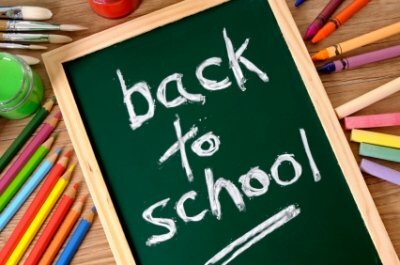 It's a new year of school and it is one of the busiest times of the year for teachers! 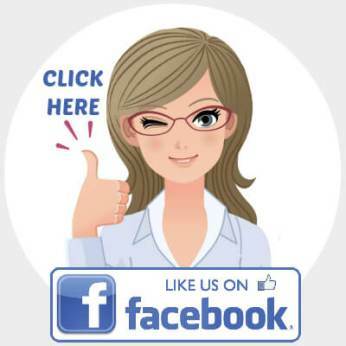 On my 6 different Back to School web pages, you will find fun, unique, and creative teaching resources for English and Math, as well as powerpoint activities, bulletin board displays, and creative writing printable worksheets. Many of these Back to School teaching resources can be used any time of the school year, but they are lesson plans and ideas that I have traditionally used at the beginning of the school year. At the beginning of the school year, I believe that it is important to engage my students in learning from the moment that they walk through the door of my classroom. I often have my students complete traditional activities such as writing about their summer holidays, interviewing a classmate, or having to write a description about themselves. But, I've created fun lesson plans and unique writing templates for these traditionally boring first week of school activities. Instead of being bored, my students are excited, on task, and use their best effort to complete these types of creative writing activities. 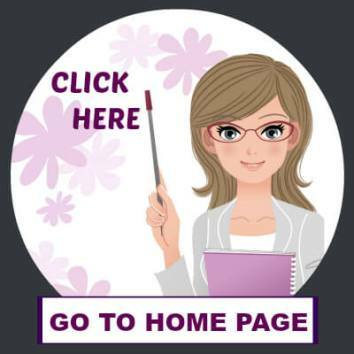 I hope that you will find some ideas for Back to School lesson plans on the following pages that will save you time in preparing your lessons and engage your students in learning! Take your time and look through the various Back to School teaching resources pages that I have created by clicking on the 6 chalkboards shown below. 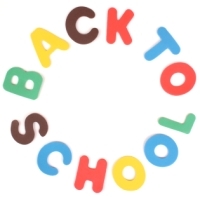 Click on the chalkboards below to view the different categories of Back To School teaching resources that are available on this website. 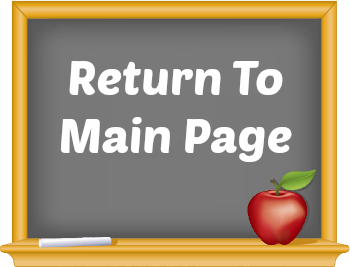 To read more detailed information about the types of Back to School teaching resources that you will find on the above pages, please see the short descriptions found below. 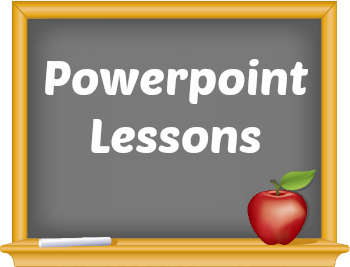 On my Back to School powerpoint lesson plans page, you will find presentations to use with students and parents for Open House. I have designed my powerpoint presentations to be engaging to students and they contain bright school backgrounds and graphics. I use funny and attention grabbing animations when I am designing my powerpoints lessons. 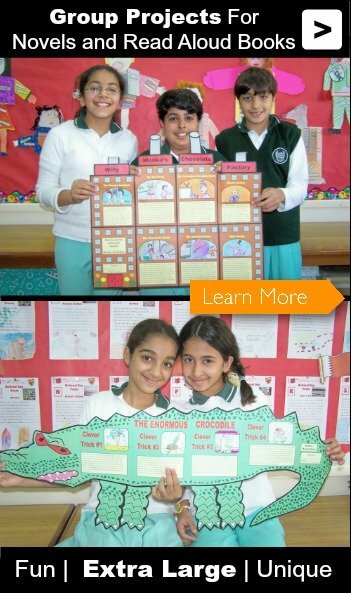 I also use colorful school background templates for the powerpoint presentations that I prepare. 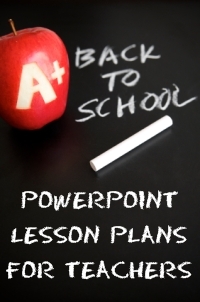 Click here to go to Back To School powerpoint lesson plans page. 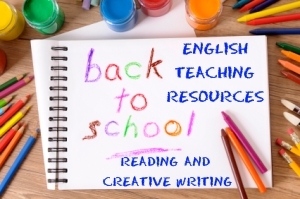 On my Back to School English teaching resources page, you will find a variety of reading and creative writing activities and lessons plans to use for the beginning of the school year. 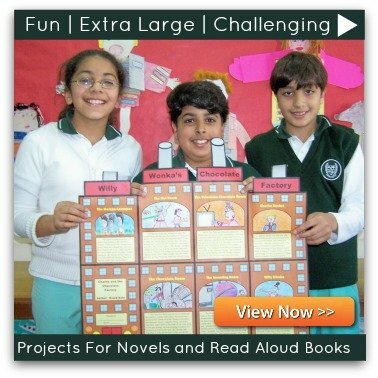 Are you looking for fun reading and creative writing activities to use for Back to School? 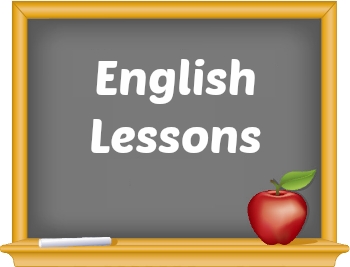 Click here to go to Back To School English Teaching Resources page. On my Back To School math teaching resources page, you will find unique math displays and activities to use at the beginning of the school year in your classroom. On this page, you will find math display sets for shapes, fractions, and key words used in word problems. For the area of multiplication, there are ice cream and pizza shaped incentive charts that will help you to motivate and reward your students for learning their times tables. 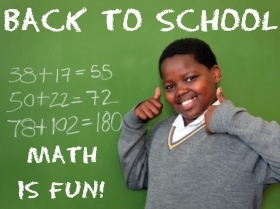 The majority of these Back To School teaching resources for math are appropriate to use all year long. 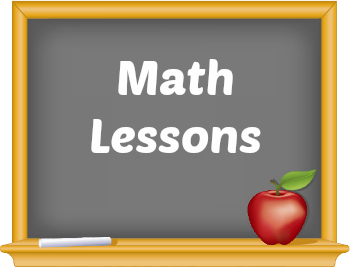 Click here to go to Back To School Math Teaching Resources page. 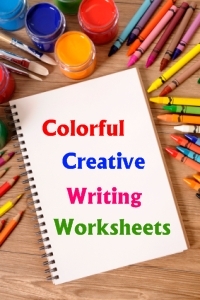 On my Back To School creative writing worksheets page, you will find blank worksheet sets with matching bulletin board banners that you can use for creative writing lessons. 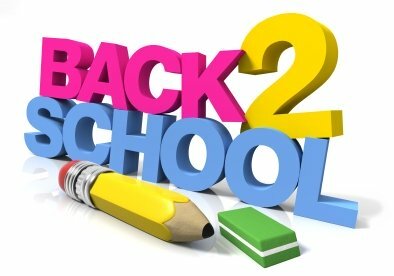 On this page, you will find Back To School worksheets that contain the following themes: book bags, chalkboards, apples, buses, and pencils. 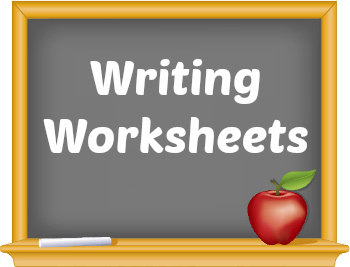 Click here to go to Back To School Printable Worksheets page. 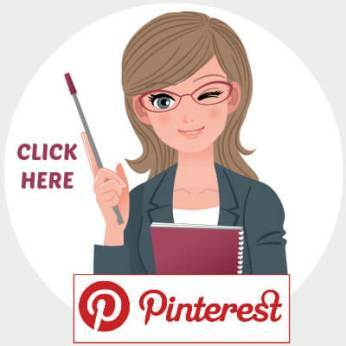 On my Back to School bulletin board displays page, you will find teaching resources that will help you to decorate your classroom and create an engaging learning environment for your students at the beginning of a new school year. 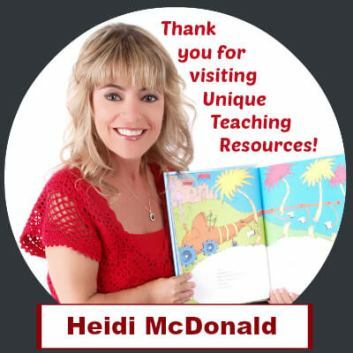 On this page you will find: Grades 1 - 8 display sets, Happy Birthday classroom displays, August and September calendar sets, and matching sets of teaching resources. 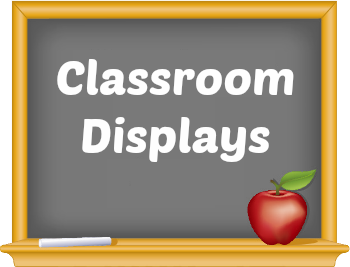 This page contains classroom display sets that contain the following themes: football, soccer, pencils, chalkboards, apples, back packs, caterpillars, balloons, ice cream, dogs, and fish. I hope that these resources help you to create a colorful environment inside your classroom! 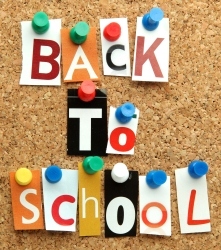 Click here to go to Back To School Bulletin Board Displays page. 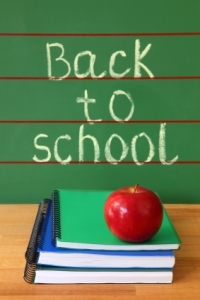 Back To School Teaching Resources page.